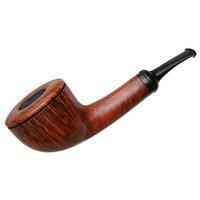 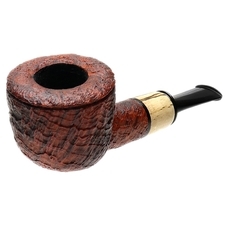 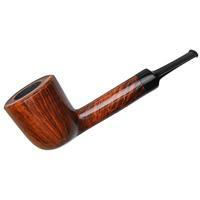 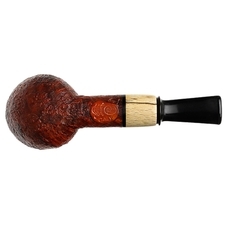 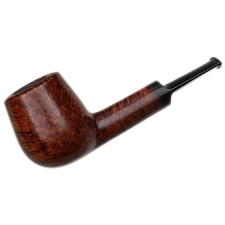 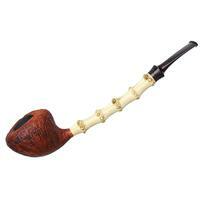 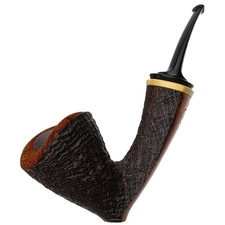 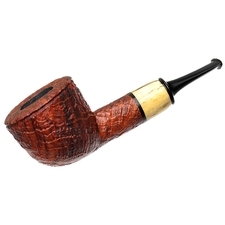 Gabriele Dal Fiume is a bit of an anomaly among Italian pipemakers. 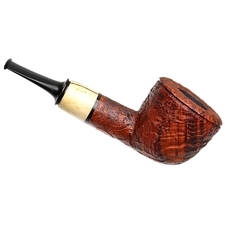 Though from Bologna and influenced by the Italian school, Gabriele's style hews closer to the Danish tradition, creating piece's with svelte lines and gentle curves often in more compact packages. 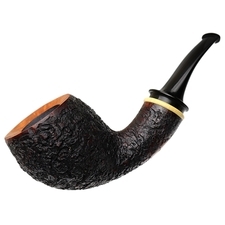 This stout Pot is one such piece. 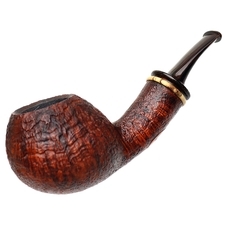 Well under five inches in length, it's a surefire nosewarmer, easily clenched and pocketed while still presenting a muscular form and decently sized chamber. 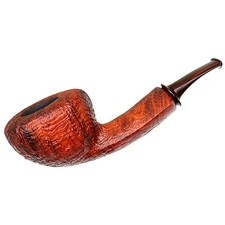 The bowl's forward cant lends affords some jauntiness in profile, and the heartiness through the shank and bowl provides welcome insulation around the chamber as well as a firm feel in the palm, accentuated by some cheeking around the defined transition. 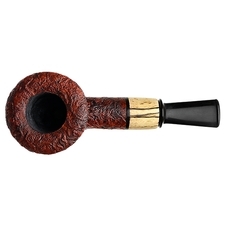 It's all dressed in one of Fiume's tiger-striped contrast stains over top a sandblast that brings out stacked ring grain up the bowl and swirling birdseye along the inflated rim. 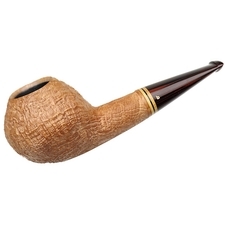 For a subtle, accenting touch, the Italian carver features a crisp beadline just below the rim, while the most noticeable adornment is the masur birch ferrule fitted to the shank end.